What Is Sports Betting And How It Works? Home how to place sports bets? how to place sports bets? Betting on sports is one of the most popular and oldest types of wagering. It is assumed that sports betting started ever since the sports were invented. In this article, you will learn everything there is to know about betting on sports. If you are already familiar with betting in general, you won’t find it hard to understand the concept of sports betting. In betting, bets are placed usually on some kind of event. In case of sports, it is a sporting event on which you place a bet. So, you place a bet on the winning of a sports team, player, series, or on goals, etc., and you win a certain amount of money if your prediction comes true. On the other hand, if your selected team/player loses, you as well lose your bet. There are several types of sports betting based on the types of bets, type of games on which you can bet and the methods of betting. For some people, sports betting is a way to increase the entertainment they get from watching the games, and for others, it is a way to make money quickly. Just like any other betting type, only a few of the total bettors actually have a chance to make money from a game. Millions of people around the world bet on many popular sporting events, including the likes of soccer, cricket and more, every year. It is estimated that the annual business of the global sports betting market is in trillions. Based on the type of the game, sports betting can be of many types, such as football betting, cricket betting, baseball betting, online sports betting and more. Also known as spread betting, this is the most common type of bets. In this type of betting, the bets are actually placed on a spread (or range) rather than the exact event. When you place a bet on the score of your favourite team in a soccer game, you bet on the spread such that you are predicting that the score of the team would be either higher or lower or equal to this spread, depending on how you bet. For example, if there are two teams, and the spread is 5 points, and you make a bid on the win, so you will win certain money that your team will score higher than 5 points. You will lose if your team scores lower than that, no matter if the team wins or loses the game. You won’t win or lose anything if your team scores exactly equal to spread points. This type of bet doesn’t have anything do with the runs or points a team makes in the game. The bets are simply placed on the win or lose of the team. If your selected team wins, you also win, and if your team loses, you also lose. There are a favourite and an underdog in each of such games. There are also plus or minus number in this type of bet that indicates the amount of money one can win on a certain bet. A negative number (favourites) on the money line shows that you have to bet that amount in order to win 100 on that team. A positive number (underdogs) on the line shows that you can win that amount by placing a bet of 100 on this team. If both teams are assigned negative numbers on the money line, that means you can bet on either team by paying the amount equal to the particular number to win 100. It is not usually compulsory to place exactly 100 on the negative lines or the maximum amount on the plus lines. The dealer may accept any bet between the minimum and maximum amounts defined for a particular bet. The winning amount also decreases with the decrease in the bet amount. These types of bets are placed on the combined score of all the participating teams in a game. For example, if you are betting on the under on a game between RSA and SL at 459 points, that means that you are predicting that the final scores of both teams will be lower than 459. If your prediction comes true, you win the bet, otherwise, you lose. On the other hand, if you are betting on the over, and if the teams score is higher than 459, you win. This is one is the simplest types of sports bets and a great place to start in this field. But know that it is not as simple to choose the winning score as it appears. Vig is the fee you pay in order to place a bet. The vig amount goes to the dealer in case if you lose, or you get the amount back if you win the bet. The vigs are most common in the plus and minus lines where the risk or bet amount is greater than the win amount. The winning amount in theses case goes to the winner and the dealer always makes a profit, no matter the result. For example, if you pay 120 on winning 100 on team A, and someone else pays 120 on winning 100 on team B, the dealer will pay you back your bet (120) + win (100) if your team wins, but since the other team loses and he doesn’t have to pay anything to another bettor, he will get a profit of 20. It is also possible to place bets without vig. In that case you will only have to win half the time to stay even. But you are paying vig, you need to win more in order to recover the deposit amount as well. Where and how to place sports bets? There are many ways you can start with sports betting, some of which are mentioned below. You can join an online sports betting website. Make sure to research and find a reliable and trustworthy website to start in this field. The more obvious option is the physical (land based) sports betting, in which you bet on actual sports events. This can be tricky as sports betting is prohibited in many parts of the world. You can look for a casino that provides such services. Another option is to find a professional sports bookie or take help from someone you know who is already involved in this field. Once you manage to find a good place/way to start your sports betting career, the next thing is to learn how to bet. This is actually an interesting part that you will enjoy immensely. 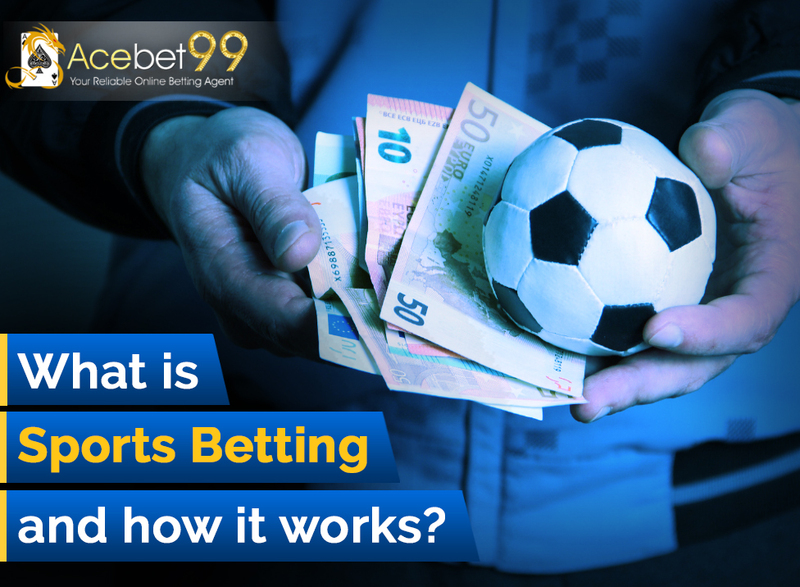 In traditional (land based) sports betting, you go to the booking window and tell them your bet amount (risk) and the team name, then you hand over the money to the dealer, who will place your bets and also gives you a betting slip. When and if you win, you need to show this slip to get paid. Since you already know about all types of sports betting, make sure to tell the dealer the kind of bet you want to place. Online sports betting is easier in that you do not have to deal with a dealer. You simply enter your bet amount, select the game and team you want to bet on, verify the amount and confirm. The money will be taken from your associated account. When and if you win, you will get your deposit back along with your win amount to the same account.